"Light affects all that we perceive, so the importance of good lighting cannot be overstated." 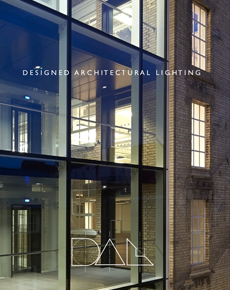 Designed Architectural Lighting, founded in 1983, has steadily established itself as one of Britain's leading independent companies in the design and manufacture of luminaires. DAL's philosophy is one of constant improvement. Our aim is to design, develop and manufacture products of the highest standard whilst working closely with clients and their needs. 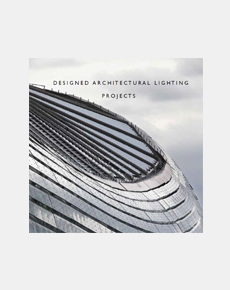 The range of products presented in this website is the result of Designed Architectural Lighting's experience in integrating the requirements of architects, designers and engineers with the best in lamp technology and materials. All luminaires are supplied with the latest developments in control gear ensuring the best in energy efficiency. DAL continually tracks and reviews the development of LEDs and offers the best and most reliable products available at the time. Company procedures ensure that a consistency of product quality and respect for the environment is maintained by constant monitoring. This is recognised by DAL obtaining the ISO 9001 quality mark and ISO 14001 accreditation. Designed Architectural Lighting products are designed and built in the United Kingdom to conform to the requirements EN 60598-1. The primary purpose of the Waste Electrical and Electronic Equipment Regulations is to 'Reuse', 'Recycle' and 'Recover', and DAL is fully committed to the WEEE Directive. DAL is a member of the Clarity Environmental Limited WEEE compliance scheme, which has been approved by the Environment Agency. Via this scheme, DAL is doing the utmost to keep the costs of recycling to a minimum so that the benefits are passed on to you, the client, and society as a whole. DAL registration number WEE/EA0290TY. Whilst every effort is made to give up-to-date information, the manufacturer reserves the right to amend any specification herein detailed without prior notice. Descriptions contained within this publication shall not form part of any contract. Orders accepted for DAL products are subject to our standard condition of sale. When products are made specially to customer's requirements, we cannot make subsequent alteration or accept cancellation or return without making a charge. It is essential that the correct lamp type must be used. Incorrect lamps may affect the operation of the luminaire and in some cases seriously overheat the luminaire. All fittings are supplied without lamps unless otherwise specified, as is the case with LEDs. Lamp specifications are typical and should be checked with the manufacturer's up-to-date information. Dimensions are shown in mm.